PRINTING SET FOR THE BLIND. 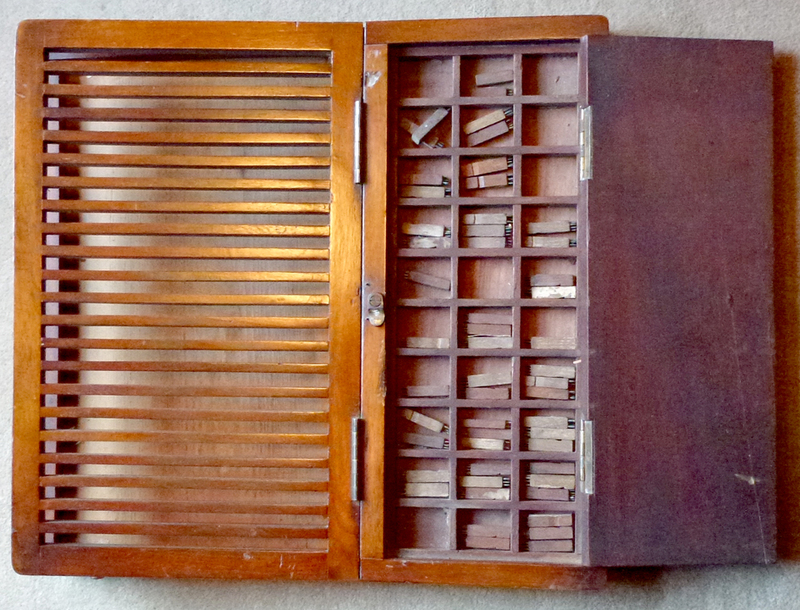 An unusual mid 19th century mahogany portable braille embossing set for the blind, with ahinged ‘galley’, and a lidded compartment divided into 30 sections containing 50 printing blocks with pins. Someslight wear and a crack to the hinged compartment lid, but otherwise in very good state. 380mm x 350mm x 38mm. c1860. ~ The first book embossed for blind people was produced in 1786. 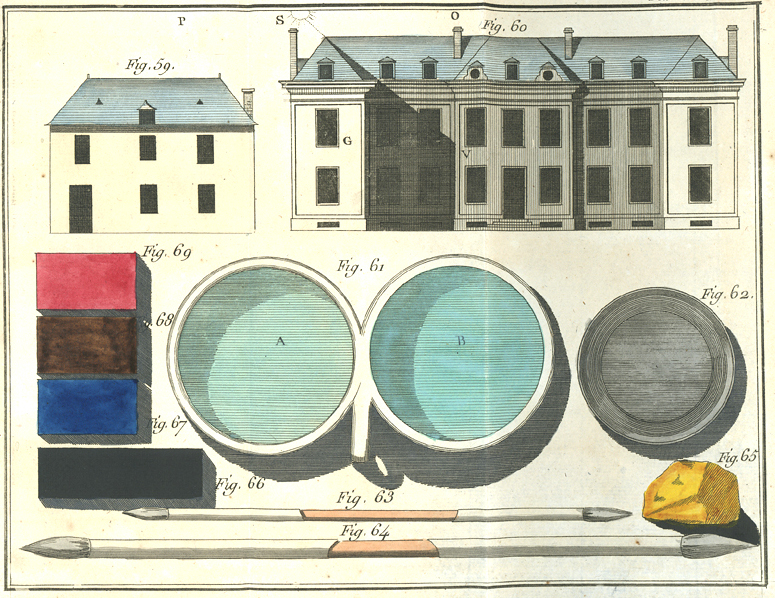 In 1832 the Edinburgh Society of Arts offered a gold medal for the best printing method for the blind. It was won by Dr E. Fry of London, and in 1836 John Alston began to print with an embossed type based on Fry’s design. You can see the full catalogue here.